EXCLUSIVE: Congressman Lacy Clay (D-MO), sat down for an exclusive interview this week with Antonio French, publisher of The NorthSider, live by remote from his office in Washington, D.C. 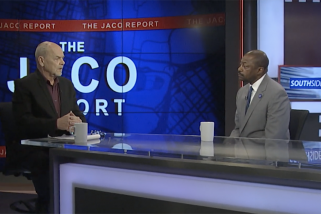 In this wide-ranging interview, the nine-term congressman, who was recently elected to his tenth, discussed what we can expect when the Democrats take over the House of Representatives in January; the possibility of impeaching President Donald Trump; making the police department pay for settlements in police brutality cases; the make up of the St. Louis Board of Aldermen; and what it will take to bring people back to north St. Louis. The NorthSider: So let’s get right into it. Obviously, Democrats won a huge victory in winning back the House of Representatives. So what does that mean for Congress, the national agenda, and for you personally? Clay: Well, what it means for the nation is that there will be a balance in government. That now you will have a Senate that will still be run by the Republicans and the administration run by the Republicans, but in the House of Representatives, the people’s house, the Democrats will be in control. So we will have oversight responsibility over this administration, over the agencies that impact people on a daily basis. And we will be pushing legislation that we think will help Americans in various areas—be it education, be it student loans, be it consumer protection, housing, the environment… We think we can appeal to a large segment of America by pushing an agenda that benefits them. As for St. Louis, I believe that it will make a difference in the daily lives of St. Louisans, and particularly on the north side, because I will be the chair of a subcommittee in the Financial Services Committee, along with our full committee chair, Maxine Waters, who hails from St. Louis. And we will be looking at issues like strengthening the Consumer Financial Protection Bureau, which has, over the last two years under this administration, been rendered toothless and has not enforced the issues like protecting consumers with student loan debt, or that have been red-lined by the housing industry, mortgage industry, or insurance industry. And so those are the issues that I think are relevant to St. Louis that I will be working on, as well as on how we bring some sanity and order to this whole debate around guns, firearms and violent deaths that occur on a daily basis throughout American communities. So I will be looking at legislation to reinstate the assault weapons ban as well as background checks, and giving local communities authority to pass laws and ordinances that are more stringent than state laws. The NorthSider: Even with Democratic control of the House, the Republicans still control the Senate and The White House. How likely do you think it will be that any of this legislation actually becomes law with that kind of make up? Clay: Well, that remains to be seen. We still have to make the case to those senators who may have an R behind their name, but are up for re-election in 2020. They can pick their poison. They can choose to side with this administration, with Donald Trump, and hope they get re-elected. Or they can do the bidding of the American people and the majority of their constituents who want to see Congress produce legislation and laws that benefit America as a whole. The NorthSider: Where do you stand on the issue of impeachment? Do you think that the House will move to impeach the President, especially on some of these charges that have been made in the last couple of days? And do you think it’s politically wise for the Democrats to do that? Some Democrats have expressed some apprehension about going that route. Clay: I think that the House will exercise vigorous oversight over President Trump and the departments and agencies. And I think as a House, whether we go down that path of impeachment or not, we first have to look at the overall report from Mueller. Yes, has there been some laws broken by this president? I think so. Just from who has been indicted, who has pleaded guilty. But I think we need to wait for the final report and see what Mueller’s recommendation is. And if it is to the House: laws have been broken, that this president colluded with Russia and broke campaign laws and other laws, then sure, I don’t think anyone is above the law and I would hope that the House Judiciary Committee would then start those proceedings. The NorthSider: Congressman, I want to bring it back to Missouri. Four years after Ferguson and the events that caught the nation’s attention, there still remain issues related to the community’s—African-American community, specifically—relationship with the police and how police are held accountable here and around the country. Last week, we saw four St. Louis City police officers get federally indicted, being charged with beating an undercover African-American officer and covering it up. What do you think about that situation, what kind of work still needs to be done? And what, on the federal level, can Congress do to restore that trust between the community and the people who police it? Clay: Well, it certainly cries out to the fact that police need to be trained better in how they interact with communities that they are supposed to serve and protect. And that includes sensitivity training, unbias training—things like that. On the federal level, I do have legislation that I will be reintroducing to allow for training, or to require training, of all police officers so that there is a level of sensitivity there. And when you look at St. Louis, it tells me that the city has proceeded in a direction that is going to bankrupt us eventually. And I’m curious as to how much, over the last four years, the city has paid out in these lawsuits to parties that have been abused by police and have been shot and killed by police officers. I just saw that in the Stockley [case], the victim’s family was awarded an additional $500,000 last week because the state withheld pertinent evidence that could’ve made a different outcome out of the initial trial. It’s kind of a reckless attitude, a cavalier attitude on the part of the city who funds the police department, to not have control. And it’s got to be costing taxpayers and exorbitant amount of money and I wonder if that comes out of the city’s budget or the police department’s budget. The NorthSider: It comes out of the city’s budget. Annually, right now there’s an allocation of about $3 million to cover such lawsuits and there’s already concerns that these payouts, especially related to the Stockley protests of last year, are going to exceed that amount and there may need to be some emergency budget requests to add more money to that. Clay: And I don’t agree there should be an emergency budget request. It should come out of the police budget until they figure out: hey, you have to stop whatever it is you’re doing. You have to train your officers better to interact with the public in a more respectful manner and stop costing taxpayers money because you’re so reckless in the type of officers you put out there on the streets. The NorthSider: We have our issues, obviously, here in the City of St. Louis. 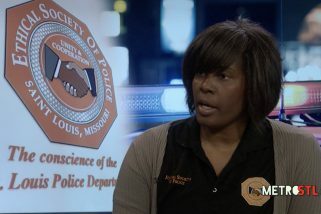 You also are well aware that there are dozens of small police departments in St. Louis County. But these issues are also being felt in cities and towns all over the country. Is the solution a local one, or do we need some national solution to these issues that are so prevalent across the country? Clay: I think it spreads across all kinds of jurisdictions: federal, state, and local. But when you start talking about the make up of police departments—and I’ve expressed this to our public safety director and the police chief in St. Louis—perhaps you need to start bringing in classes that are more reflective of the diversity of a community. And that applies to all jurisdictions. And so, OK, so you’ve lifted the residency requirement for the City of St. Louis police force, but why not allow young men and women who grew up in north County, who may not have the best record. Maybe they were stopped as teenagers. Or maybe they were caught with some marijuana on them in their younger years. Why not allow them to be a part of your police academy? So we need to look at policing differently at all levels. And here on the federal level, you know as well as I do, that the leadership of the U.S. Department of Justice makes a difference. And right now, we just went through Jeff Sessions, and now we have [Acting U.S. Attorney General Matt] Whitaker who is acting as A.G. But all of them are hostile to any kind of forms of criminal justice reform or restorative justice of any nature. So that’s part of the battle up here, but you still cannot give up. The NorthSider: Congressman, bringing it back home to St. Louis and specifically north St. Louis, we are looking at another Census coming up that will surely reflect a continued loss of population in north St. Louis. What is the solution to stabilizing these neighborhoods? What is it going to take in the way of investment, or bringing folks back to these communities? How can we repopulate these neighborhoods? 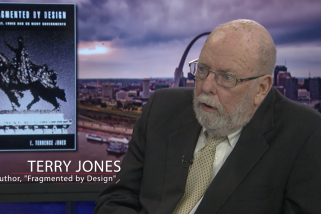 Clay: Well, you [French] being recently retired from local government, you know as well as I do, that there has to be a concerted effort on the part of the City of St. Louis to want to invest in neighborhoods north of Delmar. So when your policies dictate that you don’t put in services, that you don’t have adequate police protection, and the police don’t respect the people that they are supposed to serve and protect… when you don’t direct incentives to an area then you won’t get development. You won’t get affordable housing. When you overload an area of the city with homeless shelters instead of spreading them out so that every neighborhood shares the burden of homelessness, instead you put it all in a community like north St. Louis that needs more than homeless shelters, but affordable housing as well as good-paying jobs, then you are going to continue to lose that population base in that part of the city. Now the way to counter it are things like we have been doing to attract the National Geo-spacial Administration. We are about to transfer the land from the City of St. Louis to the U.S. Air Force this week. We hope that that helps spur affordable housing development. We hope it helps spur additional job creation. And those are the kind of efforts you’re going to need… in order to rebuild an entire section of a city that has not had major investment in over 50 years. The NorthSider: We’ve seen some changes at the Board of Aldermen. And more changes to come with the reduction of the board coming soon. Recently, we’ve had the alderman from the 26th Ward, Frank Williamson, resign. That’s going to be an open seat. That ward has been important to the Clay family for a long time. Have you picked someone to support in that race? Do you have a dog in that fight? Clay: I really don’t have a horse in the race. I think that when the filing closes, I will assess who I think would be the good candidates. I talked to one of them, Letta Price. But I don’t know who else is running. I’ve known Letta for a long time, but I will wait until the filing closes and then share with the residents of the 26th Ward who I think who would best serve them. 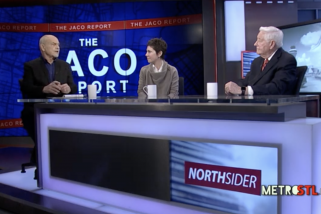 The NorthSider: The 26th Ward is vacant now. In the 18th Ward, Alderman Terry Kennedy has retired after many years. That seat is vacant as well. We published an opinion piece two weeks ago here in The NorthSider about several majority-black wards now being represented by white progressives, making it impossible to have equal representation on the Board of Aldermen. What do you think about the possibility of white progressives winning these black seats? Clay: Well, it’s going to all depend on how we draw the lines of the new 14 wards. We have to be aware that we need to adequately represent all portions of the city, but also ensure that we don’t strip away or lessen the amount of power that the African-American community has. When you think about it, I believe we are still a majority African-American city, but the Board of Aldermen doesn’t reflect that. And like you said, it may be just the choices of the voters or who is motivated to go out and speak through their vote when selecting an alderperson. But when we draw those lines, we need to be cognisant where African-Americans live, the history of those areas, and to ensure that they are adequately represented at the Board. The NorthSider: Well, we know you have to run to a vote, so let’s close with a sports question. Are you excited about the possibility of football returning to St. Louis in the form of the XFL and another form of football in Major League Soccer? Clay: [Laughs] Hey, those are both good questions. XFL, I don’t know much about them. I guess that’s like area football. But believe it or not, I miss the Rams, who are now the Los Angeles Rams and they seem to be playing much better than the last ten years when they were in St. Louis. For soccer, I’m a soccer fan so I watch the World Cup. I don’t keep up with it as much as I do the other U.S. major sports. But hopefully that will translate into something positive for our community. And hopefully we can steer young people into soccer as well as the other major sports. The NorthSider: Well, Congressman, we appreciate it. Thank you so much and good luck in that fight there in D.C.
Clay: Thank you for having me. And congratulations on the new NorthSider.